Creative Fox: Are You With Me? 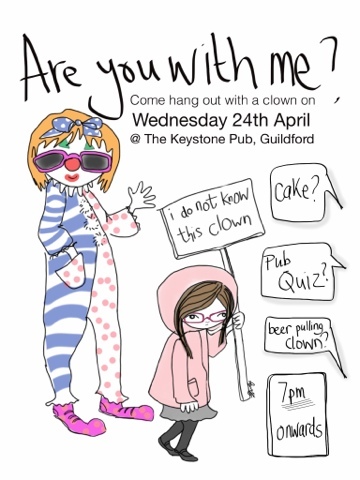 Come on down to The Keystone Pub in Guildford ,if you are available, on Wednesday 24th April. I'm doing my week for charity you can just come by and have a pint, drop your change in the bucket and feel sunny and bright for it. Or join in with the quiz to win the prize of Champion Quiz Master, an actual Award.